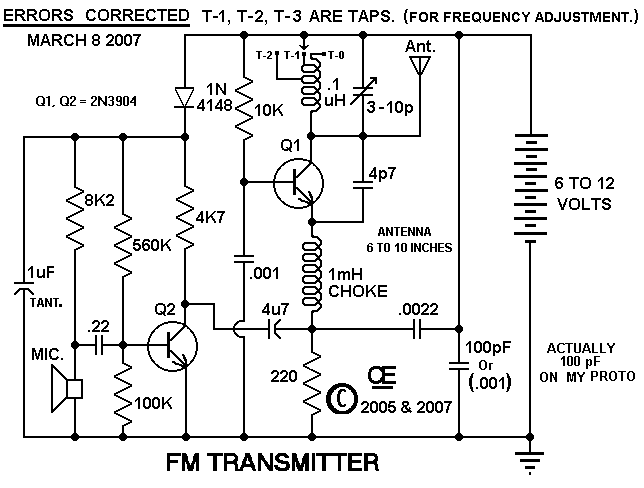 A Very Simple FM Transmitter. 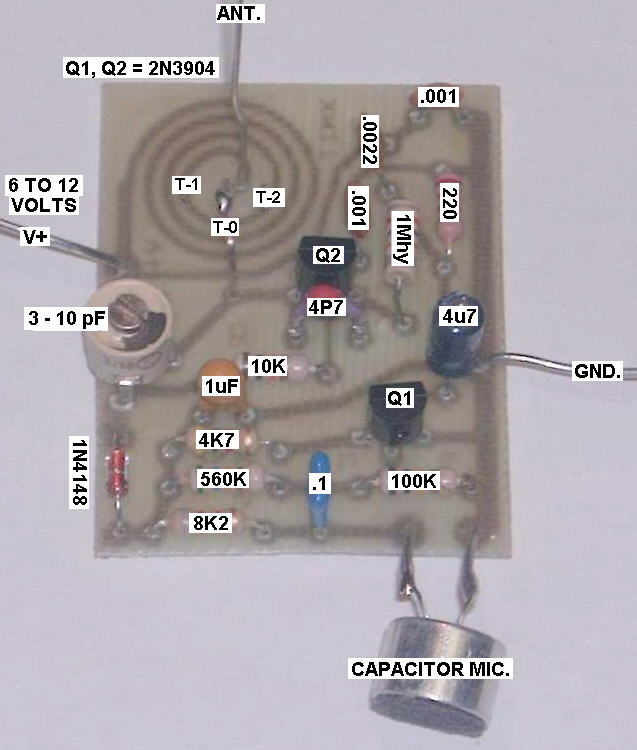 To make it even Simpler I have incorporated the Oscillator Coil on the PCB. It also has a Few Taps on it to change the Frequency if needed. This is in Addition to the Trimmer Cap to fine tune the frequency. However it still needs another 1 Mhy choke, but its value is not as critical. Depending on local conditions, the Range is a few hundred feet using a 10 inch wire antenna. 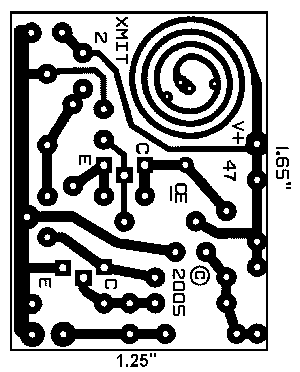 This circuit is Quite stable, Unless you put your hand or other objects too near the Antenna. "I make No Claims if this transmitter is Legal to use." If You build or use it, You do so at your own risk.